We went to SM Mall of Asia specifically to check out this globe lights attraction. It's said to be the first in Asia. We thought it was a spherical LCD screen. We were curious as to how it could be done without distorting the view. But as you can see from the video we took, it is NOT an LCD screen but a series of light bulbs programmed to produce those animated effects. Nonetheless, it was really cool! Simple joys. We went there basically just to get a glimpse of this globe lights attraction and take pictures. 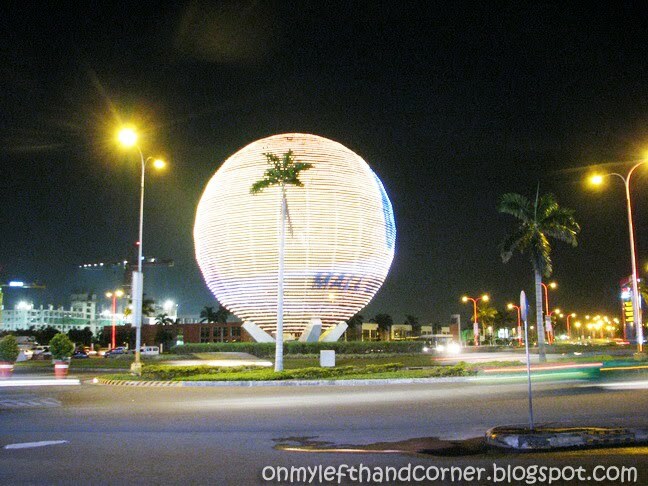 SM Mall of Asia is still the same. Super big and super crowded. I was there early this evening and sobrang namangha talaga ako. ganda!